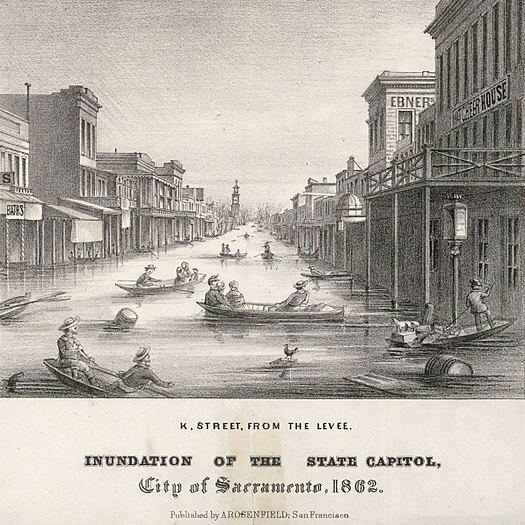 The Great Flood of 1862 was the largest ever recorded in Oregon, Nevada and California's history. The flooding occurred from December of 1861 until January of 1862, drowning the state of California in water and leaving much of the Northern Valley unlivable until the summer months of 1862. 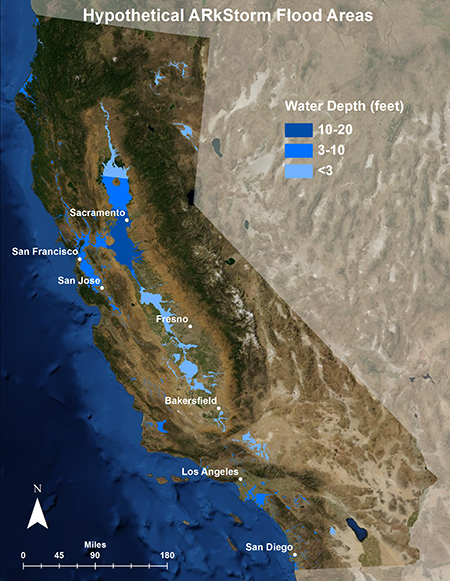 The weather pattern that caused this flood was not from an El Niño event. From the existing Army and private weather records, it is thought that the polar jet stream was to the north. The Pacific Northwest experienced a mild rainy pattern for the first half of December 1861. In 2012, hydrologists and weather experts concluded that the precipitation was likely caused by a series of atmospheric rivers that hit the Western United States along the entire West Coast, from Oregon to Southern California, in this case a “Pineapple Express,” so named because it came up from the equator. An atmospheric river is a narrow band of water vapor about a mile above sea level and about 400 to 600 kilometres (250 to 370 mi) wide. In late 1861, Northern California experienced a cold winter with heavy snow in the mountains and rain in the valley. In November of that year, the snowpack was unseasonably large and the valley floor was saturated with rainwater. Then on December 9th, the "Pineapple Express" hit Northern California with a fury. The warm, tropical rain of the storm melted and flushed down the lower snowpack, running down into the watershed and carrying it all the way down to Sacramento. 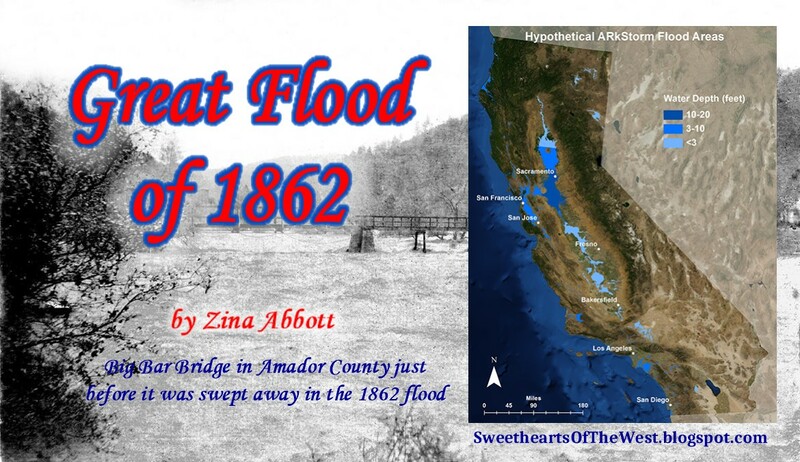 It would be the first of four warm storms through January of 1862 that would completely flood the valley. By early December, the Native American tribes, who had lived in the area for 10,000 years, saw the early warning signs and left the region for higher ground. The European settlers, who insisted on building their cities along rivers for transportation and drinking water, experienced tremendous flooding and devastation. The flood created a lake down the center of the state that was 300 miles long and 20 miles wide. It's estimated that thousands of people were killed in Northern California during the event. 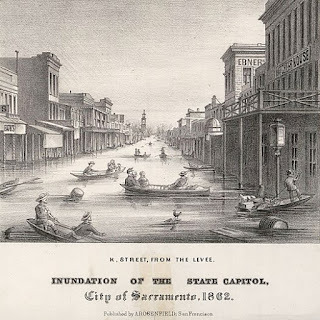 There is quite a bit of information on how this flood affected Sacramento, California’s state capitol, which was prone to flooding due to its location at the joining of two big rivers. However, I wish to narrow down the impact of this flood on a small San Joaquin Valley community which was part of the inspiration for my upcoming story, Millwright’s Daughter, which will be published next month as part of the Under a Mulberry Moon anthology. 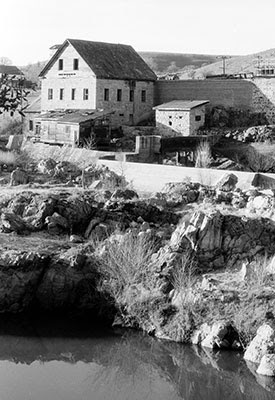 In Knight’s Ferry, a mill had been built along the Stanislaus River. However, as the flood along that river reached it heights, it destroyed not only most of the town of Knight’s Ferry, but took out most of the mill except a section of stone wall. The mill stones ended up being buried in the mud of the river bottom somewhere between Knight’s Ferry and where the river joined the San Joaquin River. The owner of the mill was bankrupted and sold the property to Mr. Tulloch (a topic of a future blog post, I will not go into detail here). 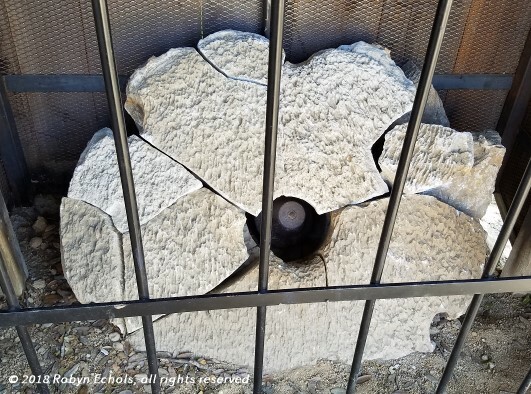 Even though the communities of the San Joaquin Valley are near the Sierra Nevada Mountains with their large sections of granite rock, there is more to creating quality grain milling stones than hard rock. Before Mr. Tulloch could get his mill up and running, he needed new stones. Mill stones from Tulloch Mill. They have been degraded by use, weather, and the acid from surrounding oak trees. 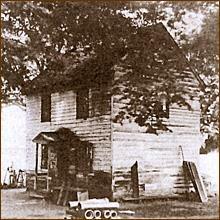 How Mr. Tulloch acquired his stones and how Joseph Wells in my story acquired his are entirely different. 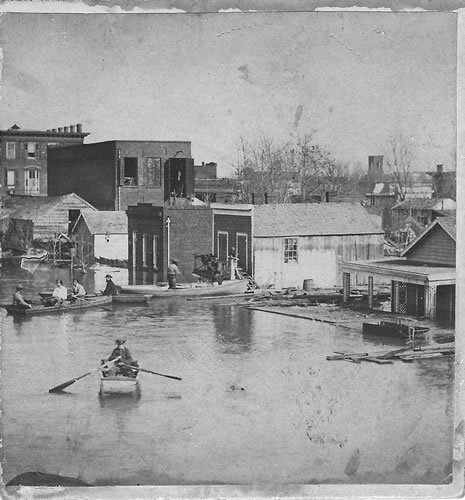 However, the event that triggered the need is the same – the great flood of 1862. 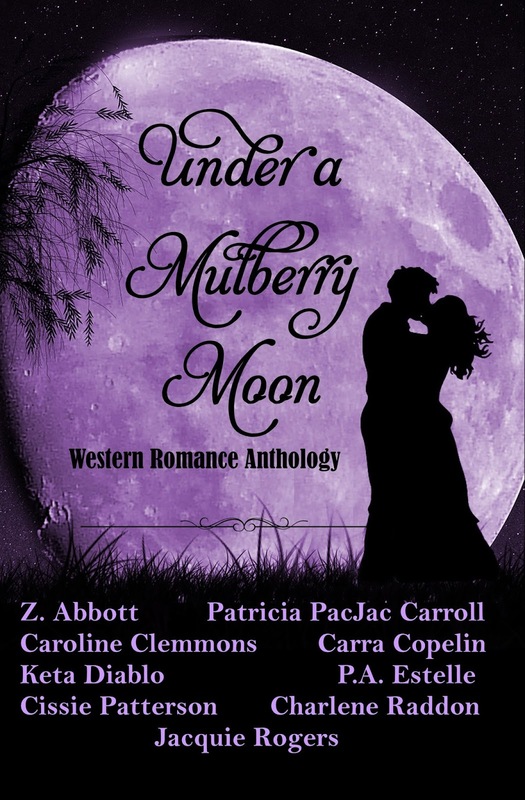 Under a Mulberry Moon is currently on preorder on Amazon at a special preorder price of $.99. The regular price is $2.99. To purchase, please CLICK HERE. To give readers a flavor of what they may expect in this anthology, the authors put together a preview book. 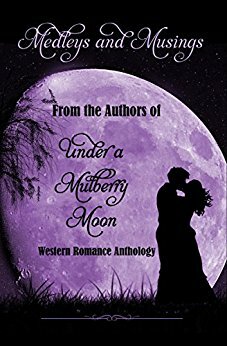 Medleys and Musing from the Authors of Under a Mulberry Moon is available at no cost. To download it, please CLICK HERE. Anyone here a Bon Jovi fan? I AM! LOL I love his song “I’ll Be There for You”—I’ll try to include a link here before the end of the post. This is one saying that I see a LOT when I’m editing. What’s wrong with that, you ask? Well, I edit a LOT of historical fiction. I don’t remember ever hearing it “back in the dark ages” of the 1950’s and 1960’s…so I guess maybe the 70’s was when it got to be popular. The 1970’s, not the 1870’s, y’all. I don’t believe a knight would tell his lady he’d “be there” for her…at least not for another 500-800 years, or somewhere around that, anyhow. How about the response to “Thank you.”? Truly…can you picture a knight responding with “No problem.”? No…me either. Yet, sometimes that’s the response that crops up in historical manuscripts. It doesn’t matter how politely one responds, the response has not been invented or introduced into thought or speech patterns of that time. Another simple one that turns up a lot in response to “How are you?” is … “I’m good.” When did this phrase come into existence? I don’t ever remember this being said until only in the last couple of decades. When talking about someone else—“He’s good to go.” No…you might hear that on Blue Bloods or Law and Order, but not so much in 1860’s Indian Territory. "Marshal Tilghman, how are you today?" "I'm good." Here are a couple of words that tend to creep in a lot—and shouldn’t—flashback and replay. Remember what these words are really saying, what they convey to people of this day and age who are reading the stories we’re writing. A medieval knight or a drifting cowboy will have no idea what “replaying something in his mind” even means—or that he’s having a “flashback” to when he was fighting at the battle of Honey Springs. Or that he’s “flashing back” to something that might have been a sweet memory in his early years. These characters are going to just be remembering, recalling, or thinking back to something… When you use this type of modern wording that refer to contemporary actions/equipment, it’s easy to pull readers out of the story. Because my husband is such a sports fan, I can’t hear or read the word “replay” without thinking of the sports connotation it carries. Flashback—this conjures up images of Hollywood movie scenes. Let's see the replay on that! “Well, it’s all about you, isn’t it?” This is one that creeps in every so often, too. It “being all about” one person or another—or NOT “being all about” them is something that should never, ever, ever show up in any kind of historical writing. It’s easy to do—these contemporary sayings are so normal to us we can’t imagine NOT using them in daily conversation—problem is, it’s our job to check and double check what our characters are saying. If we don’t, they go out into the world showing that we have not “brought them up” correctly. That reminds me—do you know the difference between being “reared” and “raised”? The standard saying used to be that “Children are reared; livestock is raised.” Those lines have blurred in modern times. I still remember my mother talking about children being “reared” and her brother “raising” cattle. She was born in 1922, so I would say that distinction has faded only during my lifetime. This is “picky” but it’s the sort of thing that readers will seize on—and there are certain word usages and phrases that will definitely pull me right out of a story that’s written in historical times, so I’m sure that’s true of others, as well. These are a few of the many “uh-ohs” I see when I’m reading/editing. What are some you’ve come across? If you are a FRIENDS tv show fan, you know that there is another “I’ll Be There for You” – the theme of the show by the Rembrandts. There’s also a Kenny Rogers song that uses that phrase. But I promised you Bon Jovi! Here he is singing “I’ll Be There for You”—a wonderful song to turn up loud and belt out when you’re driving…just remember, in historical fiction writing, we have to find another way to say this. Kinda makes me sad, but we have to wait for it to be invented. 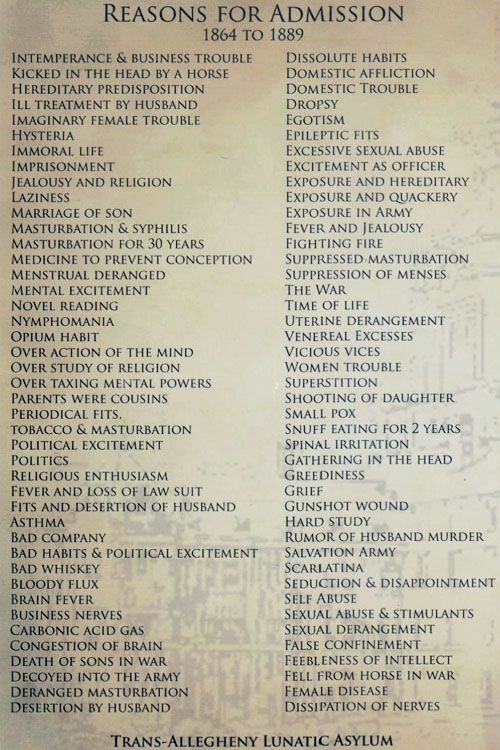 Early in the 1800s, the first mental asylums in the United States were built. They were nothing like asylums of today. Many inmates were people the family simply wanted out of the way. And it was easy to get someone committed. We would be in trouble because a woman who read novels qualified as insane. A wife who didn’t obey her husband, for instance could be lobotomized. If you were ill or handicapped, zap, you’re committed. If you weren’t insane when you were committed, I’m sure you soon would be. Treatment methods didn’t include anything close to humane. 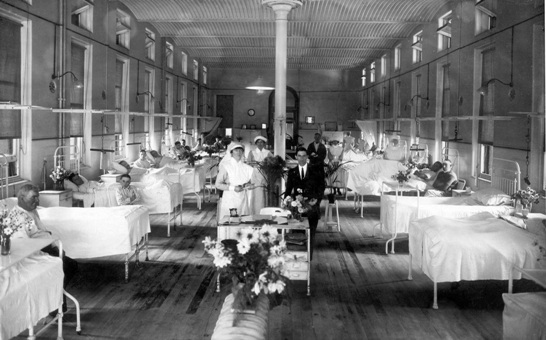 They ranged from steam baths to “steam away the madness” to cold water sprays. 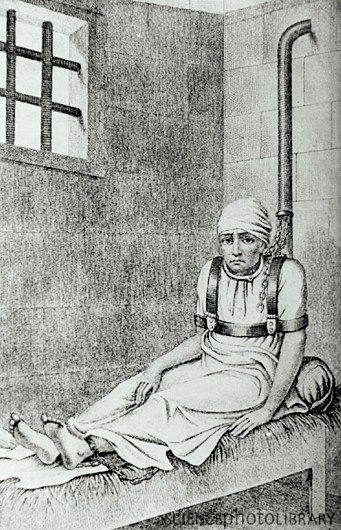 Patients were treated as things rather than humans. keep patients from harming themselves until quiet. 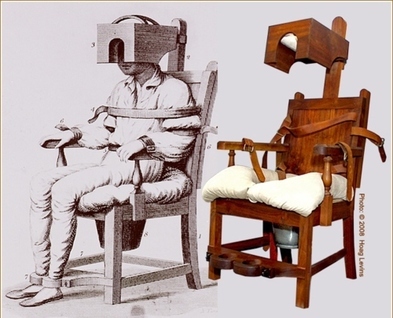 Would being strapped into this calm you? Thank goodness for Dorothea Lynde Dix! Dorothea achieved a remarkable amount of good works in her eighty-five years. Her efforts resulted in reform in the mental asylums and prisons. Her efforts on behalf of the mentally ill and prisoners helped create dozens of new institutions across the United States and in Europe and changed people’s perceptions of these populations. Her own troubled family background and impoverished youth served as a galvanizing force throughout her career, although she remained silent on her own biographical details for most of her long, productive life. Dorothea Lynde Dix was born in Hampden, Maine, on April 4, 1802. Joseph Dix, her father, was an itinerant Methodist preacher who was frequently away from home, and her mother suffered from debilitating bouts of depression. Both her parents were alcoholics. Dorothea was the eldest of three children and ran her household and cared for her family members from a very young age. Joseph Dix, though a strict and volatile man, taught his daughter to read and write, fostering Dorothea’s lifelong love of books and learning. Still, Dorothea’s early years were difficult, unpredictable and lonely. When she was twelve, Dorothea sought refuge with her wealthy grandmother to escape her alcoholic parents. There, her grandmother encouraged her interest in education. At the age of fourteen, Dorothea established the first of a series of schools in Boston and Worcester, designing her own curriculum and administering classrooms. In the 1820s Dorothea’s poor health made her teaching increasingly sporadic, forcing her to take frequent breaks from her career. She began to write, and her books—filled with the simple dictums and morals that were thought to edify young minds—sold briskly. By 1836, persistent health problems caused Dorothea to close her latest school for good. It has been suggested that Dorothea suffered from major depressive episodes, which contributed to her poor health. From 1824 to 1830, she wrote mainly devotional books and stories for children. Her Conversations on Common Things (1824) reached its sixtieth edition by 1869. Her book The Garland of Flora (1829) was, along with Elizabeth Wirt’s Flora's Dictionary, one of the first two dictionaries of flowers published in the United States. Other books of Dix's include Private Hours, Alice and Ruth, and Prisons and Prison Discipline. 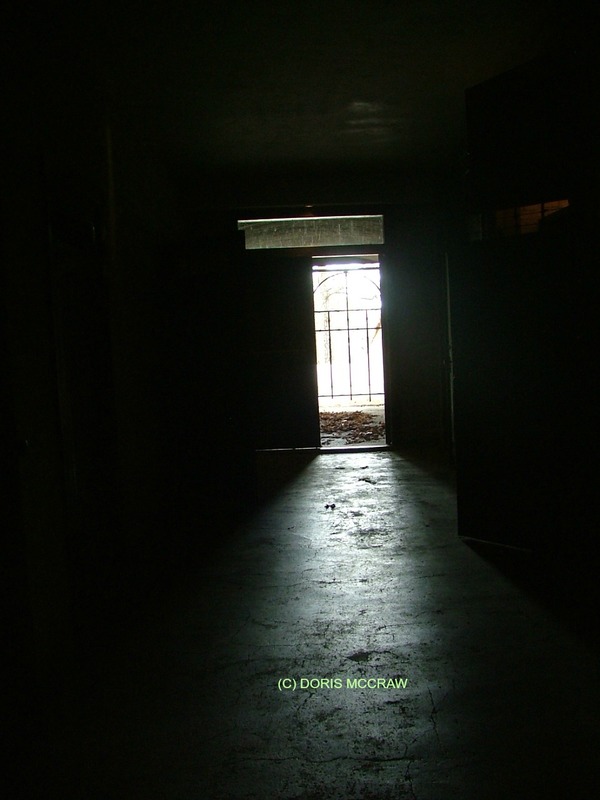 Dorothea visited every public and private facility she could access, documenting the conditions she found with unflinching honesty. She then presented her findings to the legislature of Massachusetts, demanding that officials take action toward reform. Her reports—filled with dramatic accounts of prisoners flogged, starved, chained, physically and sexually abused by their keepers, and left naked and without heat or sanitation—shocked her audience and galvanized a movement to improve conditions for the imprisoned and insane. 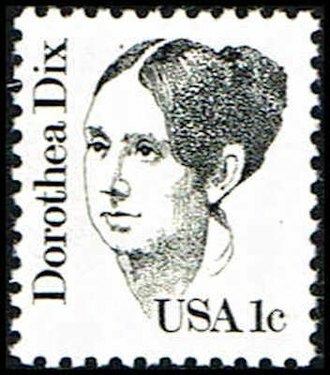 After a long life as an author, advocate and agitator, Dorothea Dix died in 1887 at the age of 85 in her suite at a New Jersey hospital that had been established in her honor. She is buried in Mount Auburn Cemetery in Cambridge, Massachusetts. Dorothea Lynde Dix accomplished far more than I have space to relate. If you’d like to learn more about this fascinating woman, here’s a YouTube video. 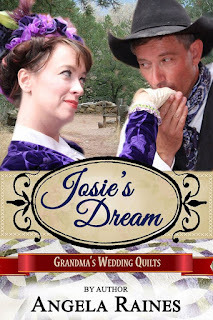 The heroine of my latest release, THE RANCHER’S PERFECT BRIDE, finds herself in a difficult situation. Zenobia Stanton’s stepfather promises to have her committed to an insane asylum unless she marries the man of his choice—a lecherous womanizer she despises. Rather than accept either situation, she becomes a mail-order bride to a rancher in Montana Territory. She wants to be a perfect bride. Unfortunately, she can’t cook or clean or do laundry. Also, Zenobia is prone to incidents. I hope you’ll read and enjoy this book. You can purchase THE RANCHER'S PERFECT BRIDE at http://a.co/5ORxMym. On June 9, 2018 I had the honor of presenting for the fourth time at the Pikes Peak Library Districts History Symposium: Remarkable Rascals, Despicable Dudes and Hidden Heroes. As they say on the website for this years symposium: "The Pikes Peak Library District's Regional History Series chronicles the unique and often undocumented history of Colorado and the Rocky Mountain West." One of the presentations I found most interesting from a conscientious objector from the WWII era: Watch Here He spoke of something I'd never heard of, and I listened with with rapt attention. I bring this symposium information as a way to bring the importance of sharing history. Many of us write historical stories, but even those who write contemporary are still sharing history. So what would I share? Although this years presentation was on a man who was sentenced to the state prison for manslaughter, my passion is women doctors in Colorado prior to 1900. Here are some of those amazing women, with a brief description of who they were and where they lived in Colorado. Of course everyone asks about Doc Susie. Dr. Anderson's story has been covered in the Virginia Cornell book: "Doc Susie". She is someone worth remembering, but she was late to arrive and practice in Colorado, receiving her license in 1897. I realize I've added a number of links, but the history is so varied and rich, this post would be much too long otherwise. Yes, I use history in my writing. My passion for women doctors allowed me to have a heroine as a doctor in the book "Josie's Dream". 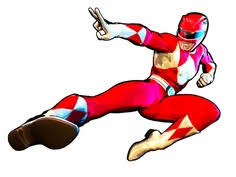 I still love that character to this day. Below is an excerpt from that story. I am home, Josie thought, as she stepped out onto the road. To the west, looking like clouds on the horizon, the high mountain peaks gave her a sense of permanence, security. The plains around the town reminded her of the rolling hills of eastern Iowa, except these were dry and dusty, instead of green and moist. She felt lighter in the clear air, the sky a shade of blue that defied description. Breathing deeply of the independence she felt, Josie reached down to pick up her cases. Looking around, Josie took in the small town. It was just as she had dreamt, the main street with its business buildings standing like sentinels to keep the town safe, help it grow. Houses, some with fences, some without, ringed the outer reaches of the area. Since corresponding with Dr. Harriett Leonard, a past student of her medical school and dear friend, despite the difference in age, Josie had been dreaming of coming to Colorado. Dr. Leonard had offered to let her work at the Spa in Manitou Springs where Harriett was the proprietor, but Josie wanted to create a practice in a smaller town, where people really needed her. Now here she was in Kiowa Wells, on the eastern plains of Colorado just a few miles from the railhead at Kit Carson. 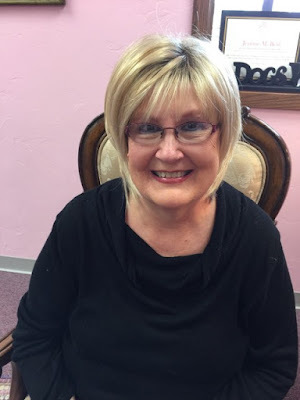 Her biggest obstacle now was finding a place to set up her medical practice. Despite his reservations, her father gave her a medical bag, equipped with the basics. “Something to remind you of this commitment, your Hippocratic oath,” were his parting words. Her parents, though still in Iowa, were in her heart. Still, she knew it had been time to leave. While others of her friends were getting married, she had gone to medical school, her path clear to her. “Can I help you?” The voice behind her asked, a hand reaching around to grab her bags. Turning to face the speaker, Josie took in the disheveled appearance, the look of cunning in the eyes. “I can manage, thank you,” Josie replied, taking a firmer hold on her belongings. “Now, there is no need to be rude. I was just tryin’ to be helpful,” the man said as he tugged at her bag. With a hard yank, the man managed to pull her doctor bag loose and without a thought, Josie swung her large bag at the man, striking him on the legs as he turned to run off. Instead, he found himself flat on the ground. Calmly, Josie bent, retrieved her property, and knowing he was just stunned, started down the street. She had only gone a few steps when she heard a bellow behind her. “Let me get to the point quickly,” she said as she turned to her tormentor, who stopped so quickly he almost fell. “I have nothing of value you could use. So, unless you are in need of medical care, I suggest you stop while you are ahead.” Now, standing close, she could smell the liquor on him. Her eye took in his inability to stand upright without swaying. 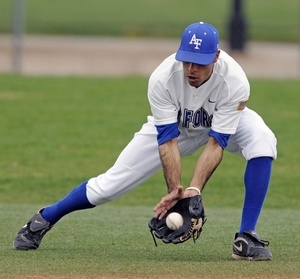 But to be fair, his fall might have had something do to with that. The two of them were drawing a crowd. Not the best way to start, Josie thought, but not a bad one either. During the late 1800s trading posts formed a bridge between white and native cultures in the U.S. Southwest. 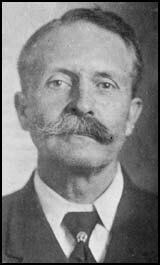 One of the most well known traders was John Lawrence Hubbell. For over 50 years he was known for his friendship, honest dealing and wise counsel to the Native Americans who came to his trading post. 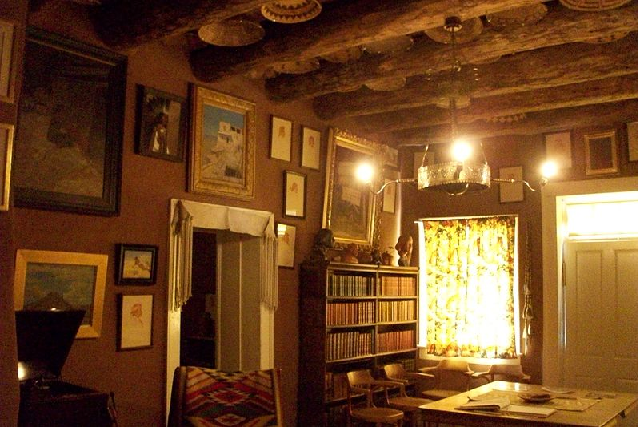 Explorers, writers, artists, scientists and even President Theodore Roosevelt visited the Hubbell Trading Post and ranch, enjoying the hospitality of its owner and his family. Born in 1853 in Pajarito, New Mexico Territory, to a Euro-American father and a mother of Spanish descent, young John learned the Navajo language while working as a clerk and Spanish interpreter at forts and trading posts. 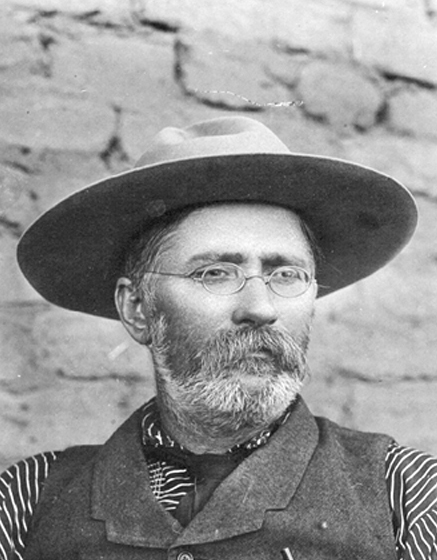 Hubbell, known as Don Lorenzo to local Hispanics and Nak'ee sinili (Eyeglasses) to the Navajo, bought a business in the village of Ganado in Navajo country (northeastern Arizona) and opened his trading post. This was only a few years after the terrible ordeal of the Long Walk, when more than 9,000 Navajo were forced from their ancestral home in the Four Corners area by Colonel Christopher "Kit" Carson and his troops. 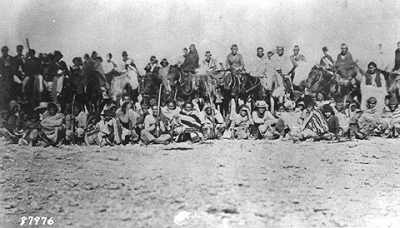 They were marched over 300 miles to Hwééldi - Bosque Redondo (Fort Sumner) in New Mexico Territory. Imprisoned for four years on this flat, wind-swept reservation, many of the Diné (the people), as the Navajo prefer to be called, died of starvation and disease. Allowed to return home in 1868, the survivors found their hogans, herds and crops destroyed or taken by the Army. Because of this, trading for food and other goods was a necessity. They gathered at Hubbell's post, and he became their friend and liaison to the outside world. He translated and wrote letters, settle quarrels and explained government policies. When a smallpox epidemic swept the reservation in 1886, Hubbell opened his home as a hospital. "Out here in this country," he said, "the Indian trader is everything from merchant to father confessor, justice of the peace, judge, jury, court of appeals, chief medicine man, and de facto czar of the domain over which he presides." John Hubbell was an astute businessman. 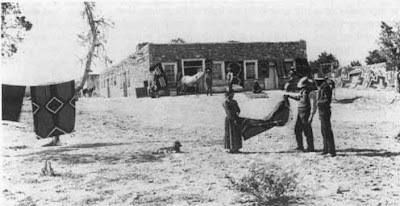 He became very successful, eventually founding 30 such trading posts in Arizona, New Mexico and california.He died in 1930 and was buried on the hill overlooking the trading post in Ganado. The post was family-owned until 1967, when Dorothy Hubbell, the widow of John's son Roman, sold it to the National Park Service to be preserved as a national historic site. 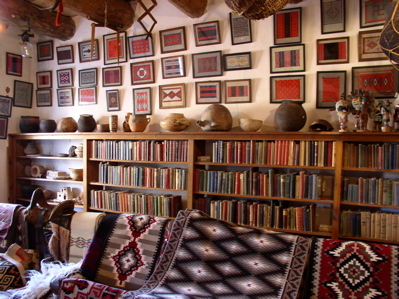 Native Americans still bring handcrafted rugs, jewelry, pottery and baskets to trade. Locals shop for groceries and share news. My husband and I stopped at the historic post on our way back from Canyon de Chelly and took a few photos of the exterior. The barn is quite broken down, but the main building is kept up. Her are photos of the interior I found on wikipedia. This place is not to be missed if you ever travel through the area. Death Valley--well, the name is certainly appropriate since not much life thrives there, but it’s not devoid of life, either. I’ve always wondered about Death Valley and what secrets it may hold. Death Valley is located in California and Nevada and is 3.4 million acres which makes it the largest national park (established October 31, 1994) south of Alaska. 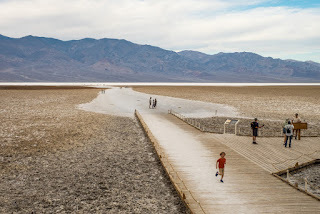 It is North America’s hottest and driest place with a record heat of 134°F and less than two inches of annual rainfall. It is the lowest place on the American continent at 282 feet below sea level. Death Valley is actually a “graben” which is a geological term for a sunken fragment of the Earth’s crust. Believe it or not, there is beauty to be seen in Death Valley. There are rocks sculpted by erosion, colorfully tinted mudstone hills and canyons, shimmering sand dunes, thriving oases, and a 200 square mile salt pan surrounded by mountains that compose one of America’s greatest vertical rises. Once in a rare while spring rains come to Death Valley and trigger wildflower blooms from over a thousand varieties of plants. That must be an amazing sight to see. More human activity than you might imagine has occurred in Death Valley. Native Americans comprised of Shoshone mostly, found ways to adapt to the challenging desert conditions. In fact, there remains rock art and artifacts that indicate a human presence as far back as 9,000 years. You might remember the name of a laundry product “Twenty Mule Team Borax” that sponsored the old TV program, “Death Valley Days” way back when. 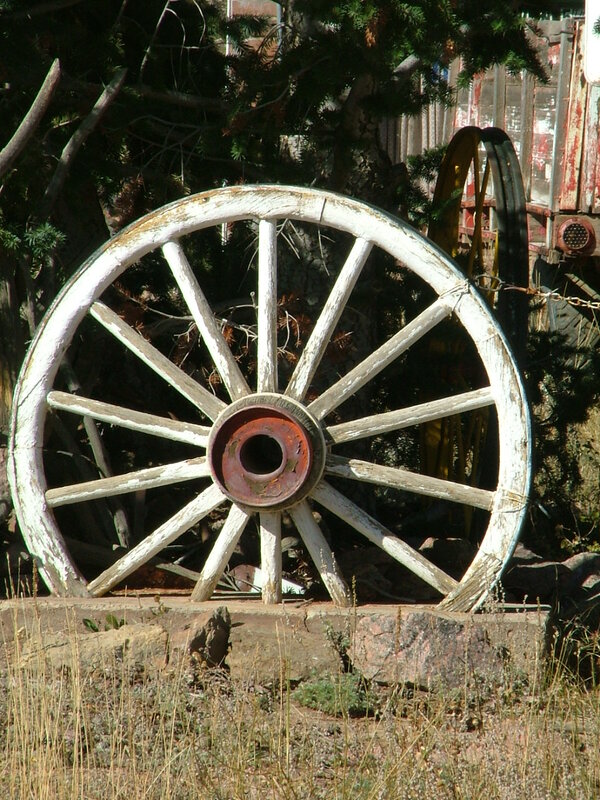 It got its name from the time from 1883 to 1889 when wagon teams used to haul the powdery white borax from mines which have now fallen into ruin. 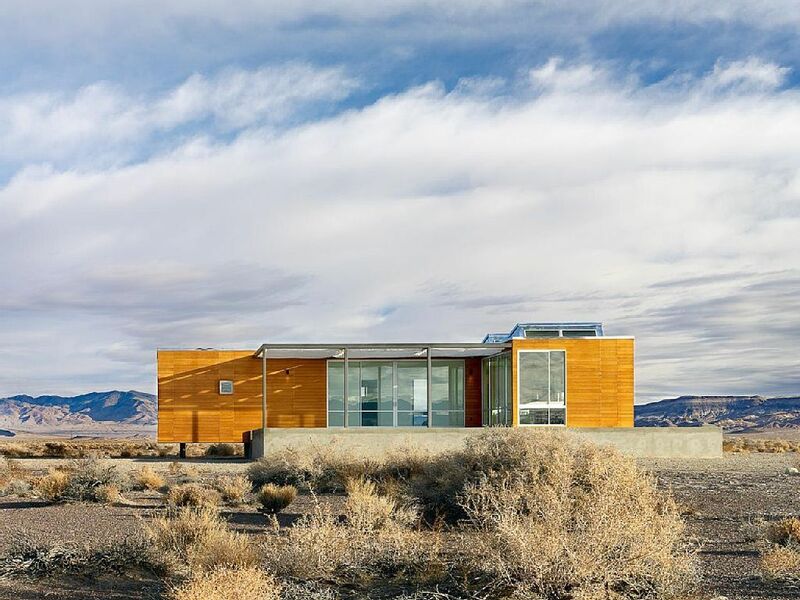 Death Valley possesses stunning landscapes, crystalline air, and deep solitude. Wildlife, though illusive, resides in Death Valley. Bobcats, kit foxes, and rodents come out after nightfall. Desert bighorn sheep forage in the Joshua trees, juniper shrubs, and pines that live on the steep slopes of the mountains. Hawks cruise on the thermals in the clear blue skies. The Sailing Stones of Death Valley—mysterious stones that move on their own unrelated to gravitational cause. 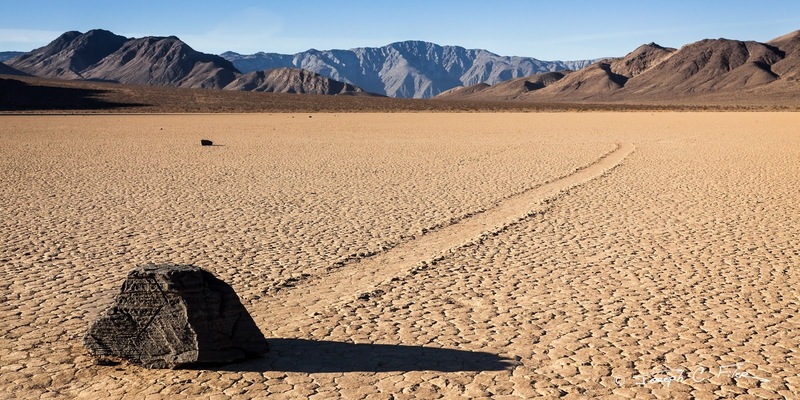 The “sailing stones” of Racetrack Playa near the California border of Death Valley, vary in size from a few ounces to hundreds of pounds. No one has actually seen them move, but the trails they leave and the changes in their location make it clear they DO move. The rocks are composed of dolomite and synite, the same composition of the surrounding mountains. Due to erosion, they break off and tumble down to the smooth, dry ground below leaving their tracks along their path. Many of these trails are as long as 1,500 feet. That’s a mighty long way from the mountains. Scientists have noted that the Rough bottomed rocks tend to move in a straight line, whereas the smooth bottomed rocks tend to just wander. The sailing stones have been observed and studied since the early 1900s and several theories have been developed to explain how they mysteriously move. It wasn’t until 2014 when scientists used time-lapse photography that scientists were able to observe the movement of the stones for the very first time prove the 1966 theory about how the movement took place. In the winter of 2014, rain formed a small pond that froze overnight and thawed the next day which created a big sheet of ice that, by midday, was reduced to only a few millimeters in thickness. Driven by a light wind, the ice sheet broke up and accumulated behind the stones pushing them forward. Mystery solved…maybe. If you would like to see the sailing stones, drive 2 miles south of Grandstand parking area. The location of the sailing stones is always changing, of course, but they can be viewed by walking a half mile toward the southeast corner of the playa. It’s important to remember not to disturb the rocks or their tracks. If it has been raining leaving the playa muddy, be very careful to avoid approaching the rocks or leaving your footprints. Driving off established roads is prohibited. 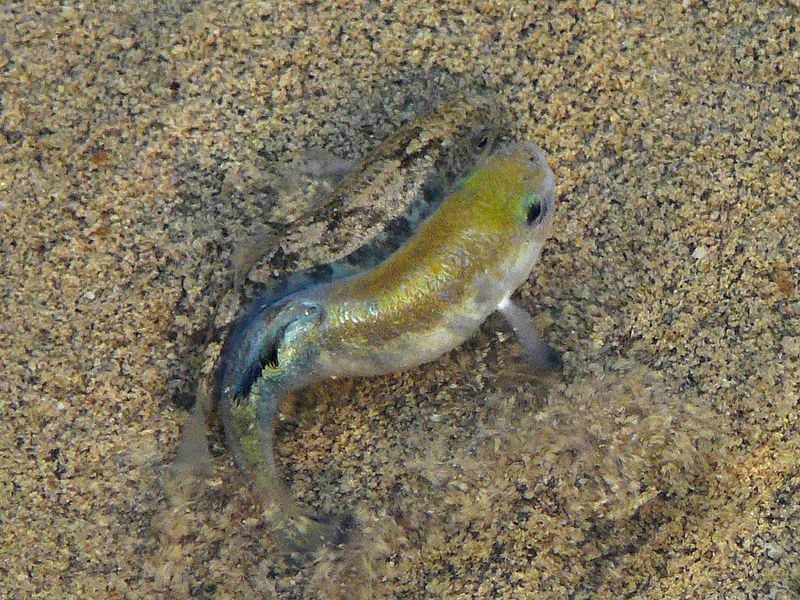 Fish actually live in Death Valley. 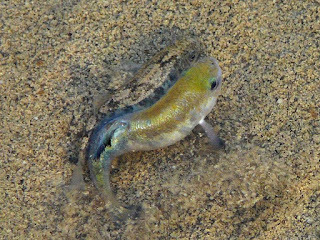 They are pupfish that are endangered because they only live in two small locations, Salt Creek and Cottonball Marsh. They are thought to be the remainders of a large ecosystem of fish species that lived in Lake Manly which dried up at the end of the last Ice Age. Named by gold prospectors struggling through the area in 1849, Death Valley has been inhabited by Timbisha Shoshone Native Americans; gold prospectors, including slaves; Chinese immigrants mining for silver and borax; Basque immigrants who settled here at the turn of the 20th century; and Japanese Americans temporarily interned here during World War II. 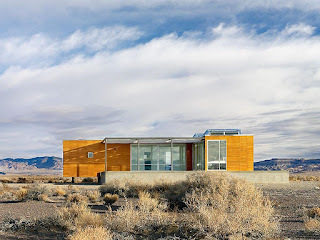 Sprawled out over a large swath of Eastern California, in the United States is a vast expanse of arid desert wasteland covering around 3,000 sq mi (7,800 km2), known rather fittingly as Death Valley, located mostly within Inyo County, California. This is an unforgiving, desolate land, which is a stranger to rain and known as one of the hottest places in the world, with some the highest temperature ever recorded on earth, at 134 °F (56.7 °C), recorded on July 10, 1913. It is as deadly, inhospitable a place as you are likely to find, that may as well be the surface of some scorching, barren alien planet, yet it has drawn more than its fair share of visitors who flock here to see the bleak, sun blazed vistas or merely out of pure curiosity. Yet for as many people that come here to visit, there are also those who never return, and this is a deadly, ominous place that has earned a rather sinister reputation for mysterious vanishings and deaths. (1) One of the earlier unexplained disappearances of Death Valley happened in 1958, when 26-year-old Army pilot First Lieut. Paul Byron Whipkey vanished under strange circumstances from Fort Ord, California. On July 10, 1958, Lieutenant Whipkey casually told his fellow officers that he was heading out to get a quick drink in the nearby town, and he would bizarrely be next seen a few hours later and hundreds of miles away in Mojave, California, where he allegedly checked into a motel for no known reason. The next day, he purportedly bought 14 gallons of gasoline and then proceeded to vanish off the face of the earth. The only clue would come 5 weeks later, when Whipkey’s abandoned vehicle was found by California fish and game officers in a remote, forbidding region of Death Valley, 15 miles away from the main road and 400 miles from where he had begun his odd journey in Fort Ord. Whipkey’s dog tags, suitcase, and other personal belongings were found within, but there was no sign of where he had gone. In the meantime all sorts of theories have popped up, with ideas such as that he was really a secret agent who saw something he was not supposed to or was silenced, that he was a test subject for some military experiment, a victim of nerve gas or atomic tests who was covertly swept under the carpet, or even abducted by aliens. 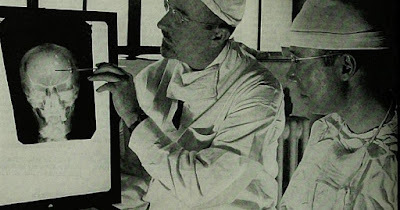 Interestingly, it has been found that shortly before his strange disappearance, Whipkey had developed inexplicable black moles and warts all over his body and had frequently complained of not feeling well, as well as displaying personality changes, appearing “nervous and uptight.” He also apparently had had many of his teeth pulled out and replaced with dentures. What does any of this mean, if anything? What happened to Paul Byron Whipkey? Whatever the answer to that may be is lost to us, as no sign of him has ever been found and all records on the case seemingly lost. 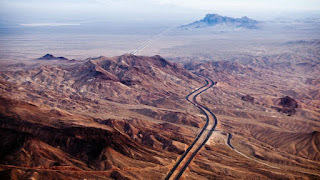 (2) Probably the most well-publicized vanishings connected to Death Valley occurred in July of 1996, when four tourists from Dresden, Germany journeyed here to take in the sights. Cornelia Meyer, 27, her 4-year-old son Max, boyfriend Egbert Rimkus, 34, and his 10-year-old son, Georg Weber, were touring Las Vegas and the surrounding region in a rented Plymouth van. 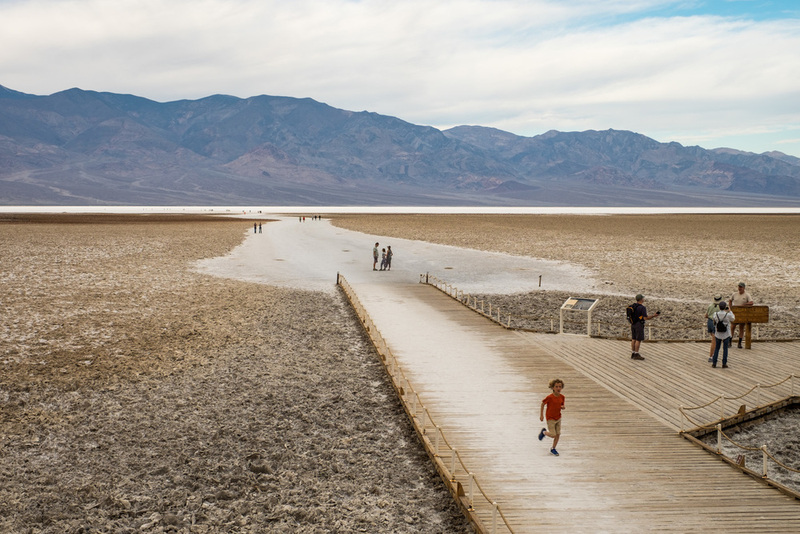 It was probably not the best time to be visiting, as at the time Death Valley was in the midst of a scorching, record-breaking heat wave which saw the already relentlessly, oppressively hot temperatures here soar up to 120 degrees and up. Regardless, they set out from their hotel in Las Vegas on July 22, and headed to Death Valley, where they stopped at a visitor’s center to purchase a book on the valley and a map before heading out to explore the heat blasted landscape. This would be the last time anyone would ever see them again. On July 29, the family failed to board their scheduled flight home, and when a preliminary investigation was launched there was found to be an odd entry written in a guestbook perched on a metal pole at an abandoned mining ghost town in Warm Springs Canyon, which held the cryptic words “We are going through the pass,” written in German and signed “Conny Egbert Georg Max.” Although it was unclear just what they meant by “the pass,” authorities surmised that they must have meant Mengel Pass, a rather rugged and remote, poorly maintained dirt road that passed through a lifeless barren moonscape on the park’s southwestern border. No other sign of the missing group of tourists was turned up until months later, when on October 23rd, the abandoned mini-van was discovered by a drug surveillance plane, in an isolated sandy ravine far from any road and well off the beaten path for tourists. The doors of the dust encrusted vehicle were found to be locked, and inside were found to be photo film, empty water bottles, sleeping bags, an information booklet, and a carefully folded American flag most likely bought as a souvenir, as well as a single child’s shoe. Other personal belongings such as wallets, passports, keys, or purses were not found, and oddly no tracks were found around the van either. It was as if they had just vanished into thin air. A beer bottle was found lying on the ground not far away, but it was unclear if this had belonged to the missing group or not. In the wake of this baffling discovery, over 200 law enforcement officers from both Nevada and California methodically scoured the area on foot, horseback, and from the air, but no further clues were found. For decades the fate of these tourists remained a complete mystery, and theories swirled as to what had happened to them, such as that they had run across nefarious drug dealers and been killed or kidnapped, as well as the ideas that they had staged their own vanishing or that they had simply wandered off into the wilderness and fallen victim to the scathing, inhospitable conditions, but no one knew for sure and there was not a single trace of them or clue to their fate. (3) In 2009, two hikers were traveling the dangerous and bleak terrain of a remote area of Mojave Desert park when they came across the gruesome discovery of human bones mired in the sand and brush. The remains, which turned out to be of an adult male and female, were speculated to be those of the missing tourists, especially since Cornelia Meyer’s identification was reportedly found lying nearby. However, this is not known for certain and the bones were too damaged by the sun for a successful DNA analysis. Despite this gruesome discovery, the remains have not been positively identified, it still remains a mystery as to what happened to them, and the remains of the two children have never been found. The case has remained perplexing and widely discussed to this day. What happened to these people? Did they meet with foul play? Were they killed or kidnapped, and if so, who did it and why? Perhaps they just succumbed to the elements in their foolhardy adventure. Why did they drive their vehicle off road out in the middle of nowhere in the middle of a merciless heat wave, with no provisions and an inadequate water supply? Were they just very adventurous, foolish, or is there some other inscrutable reason? Were those remains of the missing adults, and even if they are what happened to the kids? These are questions for which it seems the answers have remained evasive. (4) Though the case of the missing Germans is the most widely circulated and oft-debated disappearance to have occurred in Death Valley, it is certainly not the only one and it isn’t even the weirdest. 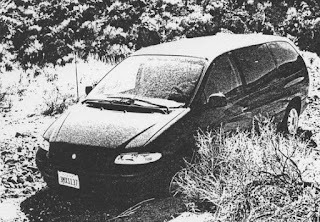 Just 2 years later, in the spring of 1998, five women vanished without a trace in the Los Angeles area against a backdrop of assorted other bizarreness. The women were most notable for being part of a sort of New Age cult headed by the enigmatic Peruvian born New Age writer and philosopher Carlos Castaneda, a graduate student in anthropology at UCLA who gathered quite a reputation for his outlandish esoteric theories and eccentric lifestyle. He was an extremely successful non-fiction writer of New Age books on supposed ancient, mystical knowledge of Native Americans in the 1970s and early 80s, selling millions of copies of his books with titles like The Teachings of Don Juan: A Yaqui Way of Knowledge, A Separate Reality, Journey to Ixtlan, and Tales of Power, which continue to sell well even now despite having received a good amount of scathing skepticism and criticism over the years. Almost as well known as his books was his reclusive ways and the cult-like movement he formed in 1973, which was based on supposed shamanic secrets he called Tensegrity, which actually proved to be quite popular, spawning countless workshops, seminars, and instructional videos. One of the strangest aspects of the movement was an extremely secretive group of women Castaneda kept close by, a harem of sorts, which were referred to as “the witches.” Very little was known about the witches, what exactly their purpose was, or even how many of them there were, and they typically used aliases and absolutely refused to be photographed, all of which just added to Castaneda’s mystique. It is known that they were frequent users of peyote and engaged in all manner of shamanic mysticism and metaphysics, such as vision quests, speaking with animals, and various rituals. Shortly after Castaneda wasted away and died of liver cancer in 1998, five of these witches, Florinda Donner-Grau, Taisha Abelar, Amalia Marquez, Kylie Lundahl, and Patricia Lee Partin, all completely vanished in quick succession. The only clue found at the time was Partin’s vehicle, which had been abandoned at Death Valley’s Panamint Dunes. In 2003, some hikers would find a desiccated corpse half-buried in sand out in the desert wearing shredded clothes. When the remains were finally properly analyzed they were found to be those of Patricia Lee Partin, although the cause of death nor why she had been out in such a remote area of Death Valley could not be determined. One former follower of Castaneda has come forward with his own theory on the matter, saying: “Castaneda once told her (Partin), ‘If you ever need to rise to infinity, take your little red car and drive it as fast as you can into the desert and you will ascend’—and that’s exactly what she did. She drove her little red car into the desert, but she did not ascend. Instead, she got out, wandered around, and fainted from dehydration. None of the remains of the other women have ever been found. It is suspected they most likely committed suicide, a theory bolstered by Castaneda’s alleged frequent praise for the virtues of suicide. 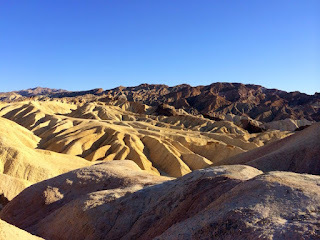 Some of his witches were allegedly tasked with finding locations in Death Valley such as caves and abandoned mines that could be used as suitable suicide sites. One of these sites was spookily located not far from where Partin was found. Did all of these women commit suicide out in the wastelands of Death Valley, or are the others still alive out there, as some believe? There are no answers. No one knows, and it remains a mystery. (5) Another macabre disappearance and death in Death Valley happened in July of 2103, when Ryan Singleton, a 24-year-old former model and aspiring actor from Atlanta, Georgia, went out for a short vacation to Los Angeles. He decided to rent a car and drive out to Las Vegas. 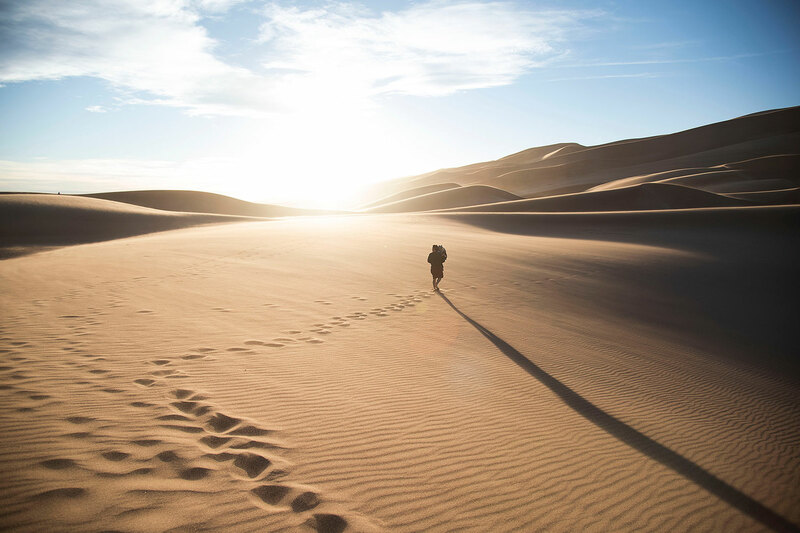 On July 9, Singleton left Las Vegas to return back to Los Angeles, taking a route that passed right through the unforgiving Mojave Desert. At some point, his car broke down near the small town of Baker. He got out and walked towards the town along the highway. Supposedly, a highway patrolman picked him up and gave him a ride into town. Once in town, Singleton made a call to his friend from a gas station and then sat down in the oppressive heat to wait for his friend to come pick him up. When his friend arrived, Singleton was nowhere to be seen. Searches for the missing man began immediately but there was not a trace of Singleton anywhere. 74 days later his body as found sprawled out in the desert just 2 miles from the gas station, in an area that had already been extensively searched. Spookily, the body was found to be missing nearly all of its internal organs, a very strange detail that authorities would be quick to dismiss as the work of scavengers, even though the rest of the body, including common targets of scavengers were found relatively intact. The cause of death itself could not be determined and was listed as unknown. Even more mysterious is the fact that authorities were very slow and they were unable or unwilling to provide further details or information—not even to Singleton’s family. There has been much speculation that Singleton met up with foul play of some sort, especially since he was not only African American, but also openly gay, but why would they kill him and take his organs? Indeed, there has been much attention placed on the state of the body, with its missing organs, and suspicion over the official statement that it was scavengers as well. The missing organs have rather been blamed on perhaps illegal organ thieves, or that it was the MO of some sadistic serial killer, but the real reason remains a rather bizarre detail that hasn’t been satisfactorily explained. In fact, nothing about the case has really been explained to any meaningful degree, and it is shrouded in secrecy and unanswered questions. Why would he wander away from the safety of the gas station when he knew his friend was on his way to pick him up, and how could he have gotten lost and died just 2 miles away? If he was targeted by nefarious individuals then what was their motive? And what about those missing organs? Was that done intentionally or was it the work of scavengers, as authorities seem to think or at least want us to think? What happened to Ryan Singleton will likely continue to be another mystery of Death Valley. Death Valley seems to be a forsaken place that certainly lives up to its name and filled with mysteries. If you plan on visiting Death Valley there are some safety things you may want to keep in mind. Drink plenty of water: Drink at least one gallon (4 liters) of water per day to replace loss from sweat, more if you are active. Be aware of balancing fluid and electroyte levels. 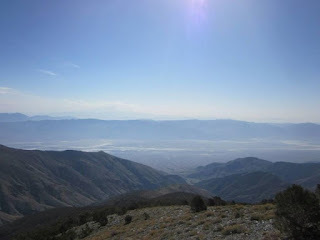 Avoid hiking in the heat: Do not hike in the low elevations when temperatures are hot. The mountains are cooler in summer, but can have snow and ice in winter. Travel prepared to survive: Stay on paved roads in summer. If your car breaks down, stay with it until help comes. Carry extra drinking water in your car in case of emergency. Watch for signs of trouble: If you feel dizzy, nauseous, or a headache, get out of the sun immediately and drink water or sports drinks. Dampen clothing to lower body temperature. Be alert for symptoms in others. The main cause of death in Death Valley: More people die in single-car accidents than by any other means. To avoid an accident, follow the speed limits, shift to a lower gear on steep downhill grades, and wear your seatbelt. Dangerous Animals: Never place your hands or feet where you cannot see first. Rattlesnakes, scorpions, or black widow spiders may be sheltered there. Hantavirus--a potentially fatal respiratory disease--is spread through contact with infected rodents or their urine and droppings. Although no cases have been reported in Death Valley, the virus has been found in deer mice and cactus mice here. Use caution in rodent infested locations such as cabins and mine structures. Flash Floods: Avoid canyons during rain storms and be prepared to move to higher ground. While driving, be alert for water running in washes and across road dips. Mine Hazards: Do not enter mine tunnels or shafts. Mines may be unstable, have hidden shafts, pockets of bad air and poisonous gas. Backcountry Travel: Hikers, backpackers and four-wheelers need to be self reliant and well prepared. Always plan ahead, carry detailed maps and let someone know your plans. Backpackers should obtain a free backcountry permit from any visitor center. Get out immediately! Do not linger to take photos or coordinates. Go back the way you came. You've already established that the route is safe. Make as little noise as possible. If the garden is occupied, they may not be aware of you. Get to a safe location. Run, walk, crawl or hide... just make yourself safe. Notify FICC Dispatch (numbers below). Be prepared to provide your exact location. Coordinates are great but a physical description will do. Get to your vehicle if possible. If you can, drive away. In Case of Emergency: Dial 911 from any telephone or cell phone. Cell phones may not work in many parts of the park. Do not depend on them. I am going to admit right now that I have no desire to go to Death Valley. After researching for this article I believe I will steer clear of that desolate place. Have you ever visited Death Valley? If so, what was your experience there?